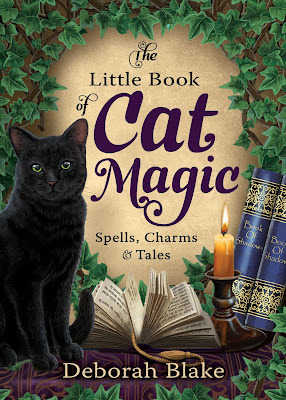 Release Day for The Little Book of Cat Magic! Here's a glimpse at my holiday. This was a bittersweet holiday for me, with so many losses in the year. I have never had a remembrance altar with so many pictures. Magic the Cat and her brother Mystic. My friend (and my stepdaughter's mom) Jo. My friend Alex's son Charlie. And my friend Bethany earlier this month. It was a tough one. But the year has also been filled with blessings...and all of you are among them. Thank you for taking this journey with me. I hope your day is magical! By now, many of you have probably figured out that there is a problem with my new book from Llewellyn, THE LITTLE BOOK OF CAT MAGIC. You may have preordered, and gotten a message that the book's delivery is delayed. Or gone to buy it and gotten a message that said it was unavailable. All I can do is give you my huge apologies for any inconvenience, and try and explain. What I can tell you is that you WILL get it if you have ordered it already or if you order it now. I hope you won't give up on the book, because I wrote it from the heart and Magic the Cat and I worked REALLY hard on it. *For those of you who did get the book in eBook form, if you have a moment, could you put up a review on Amazon (and/or Goodreads)? Because most people haven't gotten the book, there are no reviews at all! Win a Fire 7 or a signed book with goodies! You know you want all this fun stuff, right? The book, not behaving as expected. Just like a cat. As always, to enter you simply fill out the Rafflecopter form. No purchase is necessary and one random winner will be picked for each prize. Again, big apologies from me and from Llewellyn, and my promise that we're working to fix the problem as fast as we can. Thanks for your patience! There are so many things about this book to be excited about. CATS! MAGIC! Plus, it is my first ever hardcover, which is pretty cool. I have to admit, there is something bittersweet for me about this book coming out now, because my beloved Magic the Cat, Queen of the Universe, isn't here to help me promote it (for the first time ever since I started publishing with Llewellyn). But as people have so kindly said, her part of the book is like her last gift to me and my readers, so I am trying to look at it that way. And goodness knows, the new kittens will undoubtedly try to be helpful. And here are a few buy links, you know, just in case you feel like ordering yourself one. Deepen the bond between you and your cat as you weave magic together. 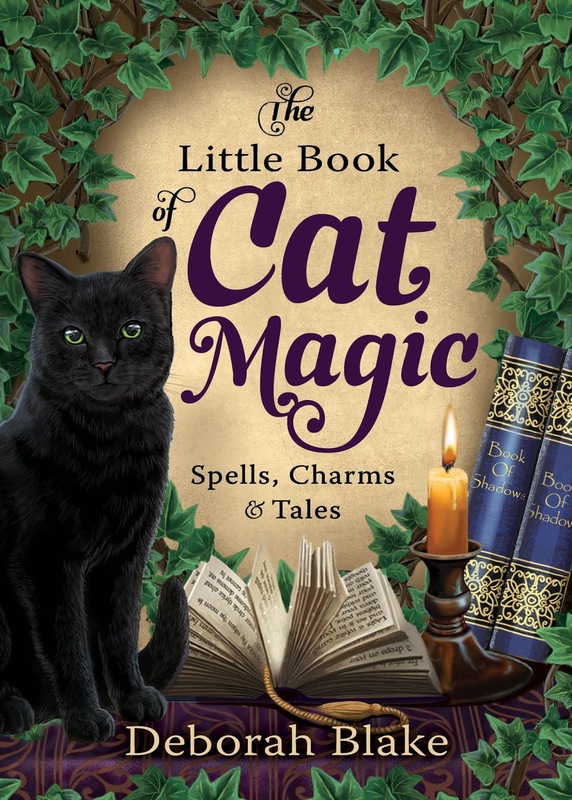 This wonderful and witchy book is filled with a wide variety of spells, charms, and recipes that you can use to improve the lives of both you and your feline friends. From finding and naming a new cat to working with him as a familiar, The Little Book of Cat Magic has something for everyone who loves cats and magic. Learn about cats throughout history and the myths, folklore, and deities associated with them. Explore spells for living with a cat, improving his health, and grieving and saying goodbye to him when his nine lives have run their course. Enjoy crafts and recipes, divination techniques involving cats, unique ways to channel your inner feline, and much more. *Llewellyn has them right now. Amazon and other places might be a little late getting them in because there was apparently some delay at the printers. But if you order it now, they'll send it out to you as soon as they get it in, and anyone who preordered them should get them within a few days. **I would normally have a great giveaway up here today, but as I type this (on Friday night, actually) I am about to head out of town to Baltimore to say goodbye to my beloved friend Bethany, who is dying of cancer. Today is her 34th birthday. And when it came down to a choice between being there for my friend and her husband, or promoting my book, it wasn't much of a choice. So I promise I will put up an even more spectacular giveaway in the next couple of days, hopefully after I have received my own author copies and will have a couple to give away. In the meanwhile, I appreciate your patience. Happy book day! I hope you'll share a little bit about your cats in the comments. 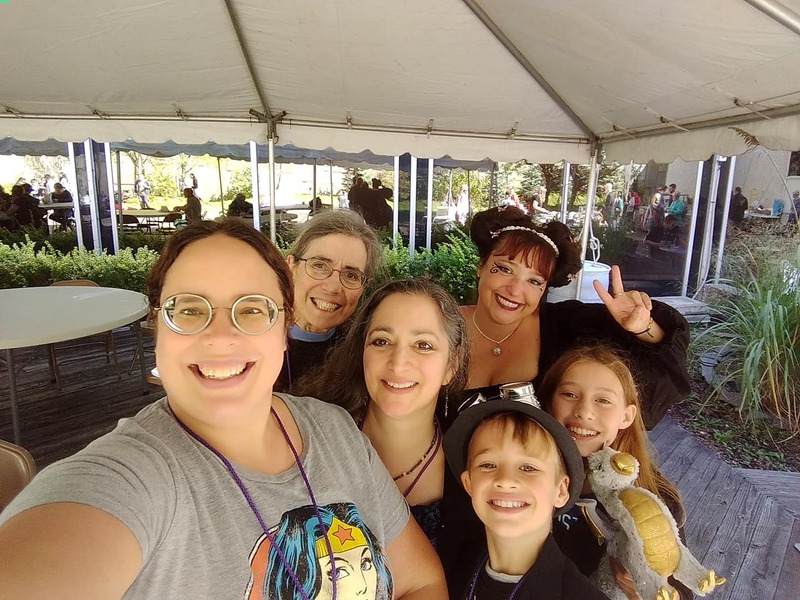 I just spent last weekend making my yearly jaunt to my local SF/fantasy/gaming convention, located at the Roberson Museum in Binghamton, NY, a little over an hour from my house. As usual, RoberCon was a blast. I got to meet Anne Bishop, who was the author guest of honor, and hang out with pal Tamora Pierce and her stalwart assistant Julie. My friend Alethea Kontis, who was visiting the area from her home in Florida, was one of the guest authors this year too. My friend Ellen went with me (her nickname for this is "The Entourage" since she does the driving, carries the heavy bags, and is generally useful) and we got to meet up with our friend Robin and her kids, my goddess-children Nate and Sophie, who live nearby and come every year. I love it that my friend has raised some serious geeks. (Nate made his own cool steampunk vest, and Sophie wore my favorite shirt, which says, "Trust me, I'm a Doctor." I was exhausted going in and I'm more tired now, but a great time was had by all. I have the pictures to prove it. Day One lunch break: Sophie, Robin, me, and Nate. Check out that vest! I love that last picture. It really captures the spirit of these amazing authors. As soon as I stepped away from our "serious official picture" they all started dancing, even Tammy with her cane! Now you can see why we always have so much fun.